Welcome to my Lego pages! Some people collect stamps, some spot planes, some play sudoku. These are solo hobbies. Unlike team hobbies such as playing bridge or tennis, they do not need partners in play. People have both solo and team hobbies of course. One of my solo hobbies is tinkering with Lego. 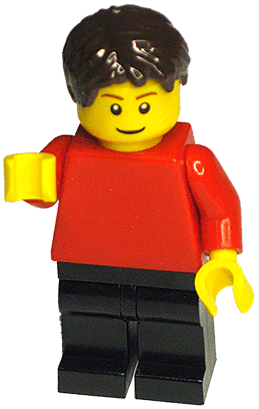 I am definitely not alone, the world is full of AFOLs (adult fans of Lego). There is something relaxing in the manipulation of physical stuff, and a feeling of satisfaction when a Lego construction is finished, looks good, and, if it is Technics, even works. inventing and building new, imagined constructions, that are not available as set. As a child I did all three, but now I am mostly interested in making my own new stuff. As is the case for many AFOLs, I had a long period of “no-Lego” but got interested again when the MindStorms robotics set appeared. Having grandchildren also helps. The key word in the list above is construction. 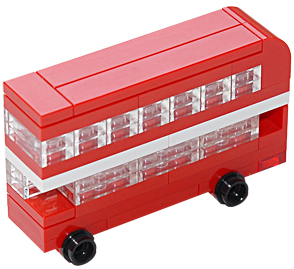 Most often a Lego construction is an object that represents, mimicks, or functions like another object. Usually it is a model of something. We tend to think of a model as smaller than the object it models, but it is perhaps better to qualify a model’s size by observing that it brings the modelled object to a human scale. That is why models of ships are much smaller than the real ships, but models of microbes are much larger than the real organisms. static models: these are the usual buildings that can be traced back to the original era, but also any model that attempts to look like the real thing without pretending to reproduce the slightest function. working models: these reproduce functions and may sacrifice some of the looks; they are trains, cranes, cars and the like. illustrative models: these show some principle of operation and usually sacrifice a lot of the visual likeness. And there is artwork, also, but I will not deal with that here. I do not mind building static constructions for pastime, and I have had great fun with the Duplo railway of our granddaughter, but I am most interested in the illustrative constructions. 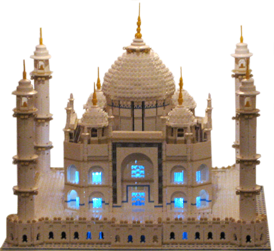 There are brilliant Lego sets that are static models: the Eiffel Tower, the Taj Mahal. Lego produced brilliant models of railways, trucks, and even a remote operated robotic model of an AT-AT walker from Star Wars. But there are also models that are somehow not satisfactory.